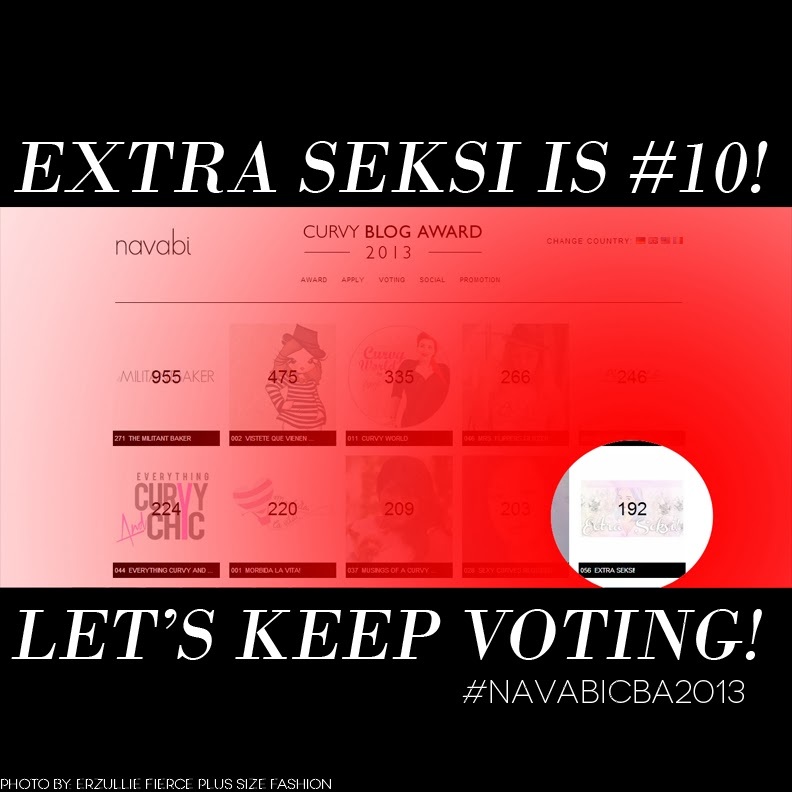 PLUS SIZE NEWS: ERZULLIESTA LORNADAHL CAMPILAN IS NOW #10 AT #NAVABICBA2013! We would like to thank all of our sisters in fashion who voted for Erzulliesta Lornadahl Campilan, blogger of Extra Seksi and ½ of Pinay Curvies, for the #navabiCBA2013! You girls have propelled her to the #10 spot as of today (November 5, 2013 7:38 am)! 3.) Sort either by number until you find # 56 or by blog name until you find Extra Seksi. The default setting for sorting is by votes. The total votes appear in the middle of the each blogs while the blog number and blog name appear at the bottom. 4.) Highlight on Extra Seksi blog, scroll down and input the Captcha to vote. To know why you should vote for her or at least share this to your friends, check this out! I am not really a vacation person because I love working hard and doing things for Erzullie. Unfortunately, the stress of the Holiday 2013 collection production and marketing is getting to me. So I had to force myself and Berna to rest --- but it was the best decision I have ever made. It thought me some life lessons that I will cherish for a long time. Lesson 1: You can take a vacation and everything will be all right. The truth is both good and bad things will happen when you are away or even if you are just there. The important part is to keep faith that whatever happens --- you can deal with it later. Lesson 2: It is about taking a break from the usual. I have realized as the days went on that there is more to life than my usual routine of waking up at 5 am and finish everything by 9 am until 3pm. Life happens in conversations, discoveries and personal enrichment. We can get lost with all the responsibilities but a vacation will give you time to reflect about your life in general --- how good you got it, how better you are than before and how things become even more awesome in the future. So I hope that you ladies, would also take your own mini vacation. Whether or not it’s in a luxurious place, you do deserve it. Because it’s all about “vacating yourself” to find yourself again. We are officially back online from our vacation! All orders and inquiries are about to be processed. Thank you ladies for the patience and allowing us to recharge our batteries! 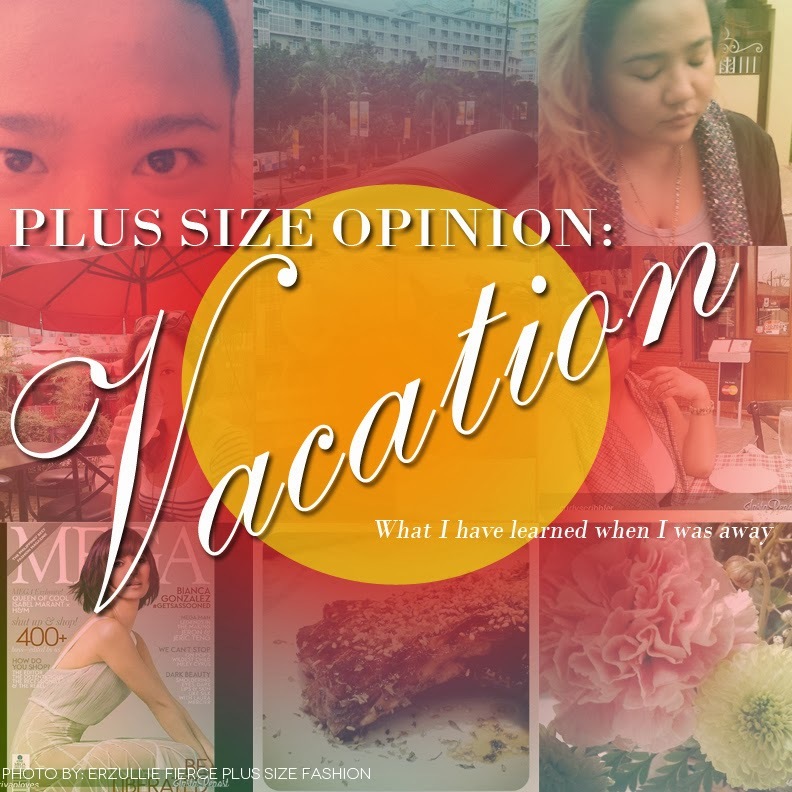 Yesterday, we already gave you a barrage of new posts for you to read and converse with. We hope that you are loving how we started this week. We are definitely pumped up about this month as the official Anniversary of the brand, Erzullie (and the whole Erzullie-verse), is tomorrow, November 6! More of this in a while.